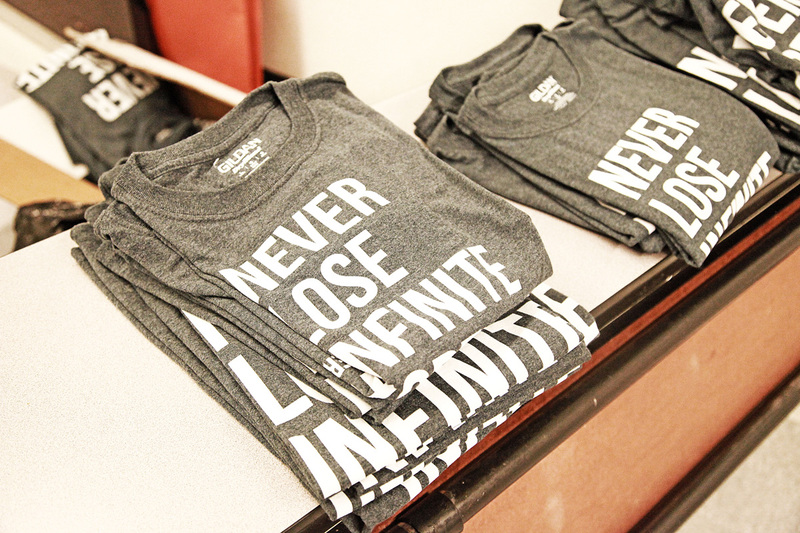 A t-shirt for every child?! How could we afford them? How complicated would the logistics of ordering be? What would they look like? Would the kids even like another “uniform” they had to wear? Months later, with a generous foundation grant in hand, those questions were about to be answered. 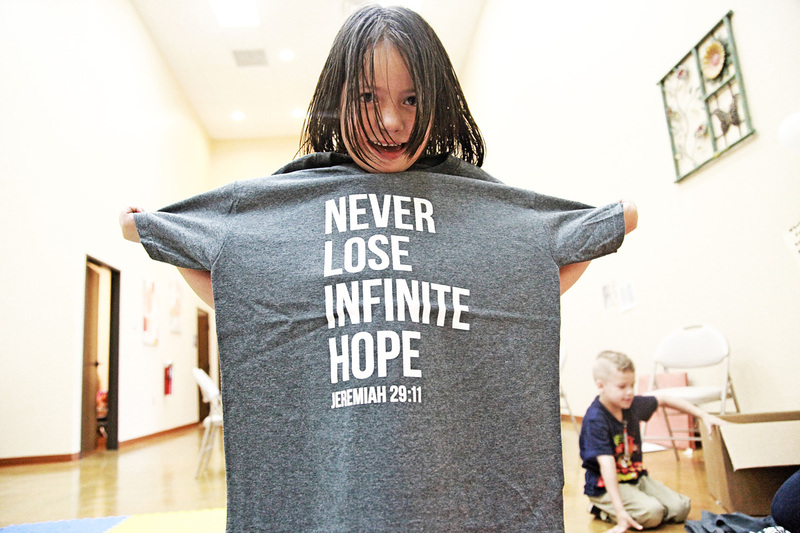 Hundreds of gray t-shirts with wording “never lose infinite hope” and the Bible verse reference Jeremiah 29:11 were ordered. 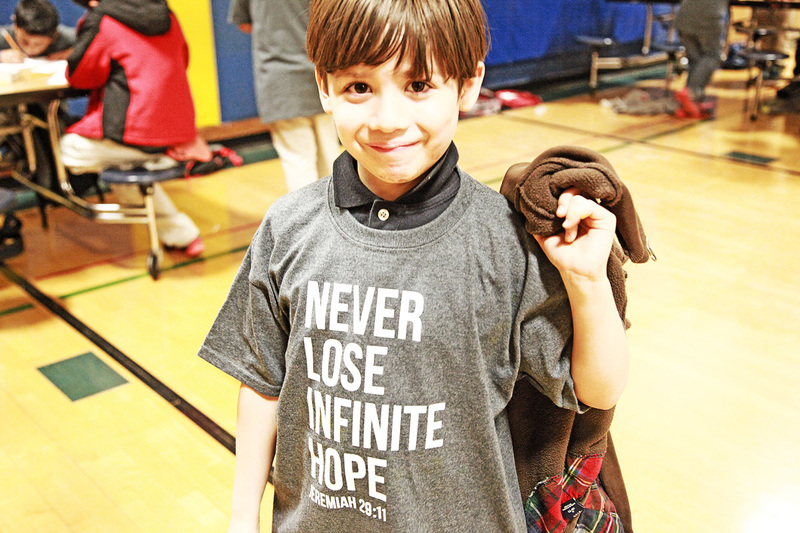 Soon those shirts were presented to each and every child attending Novo programs across the city. 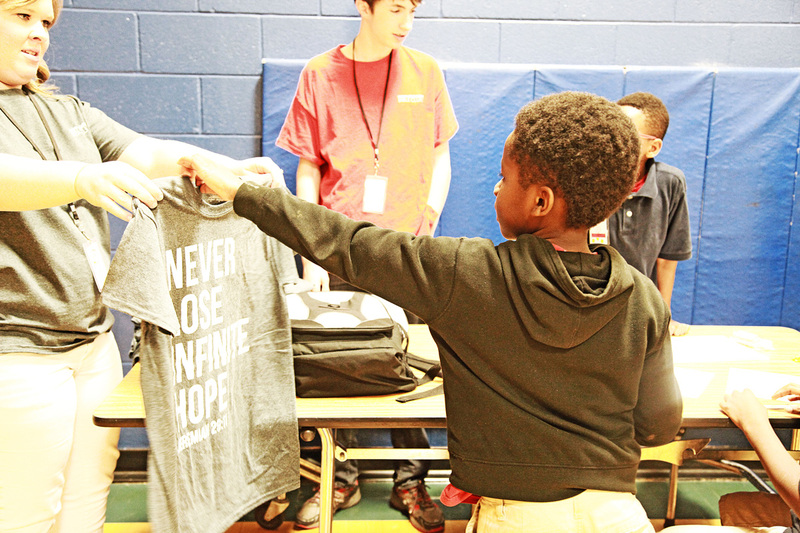 The children could hardly contain their excitement as they received their very own Novo shirt. 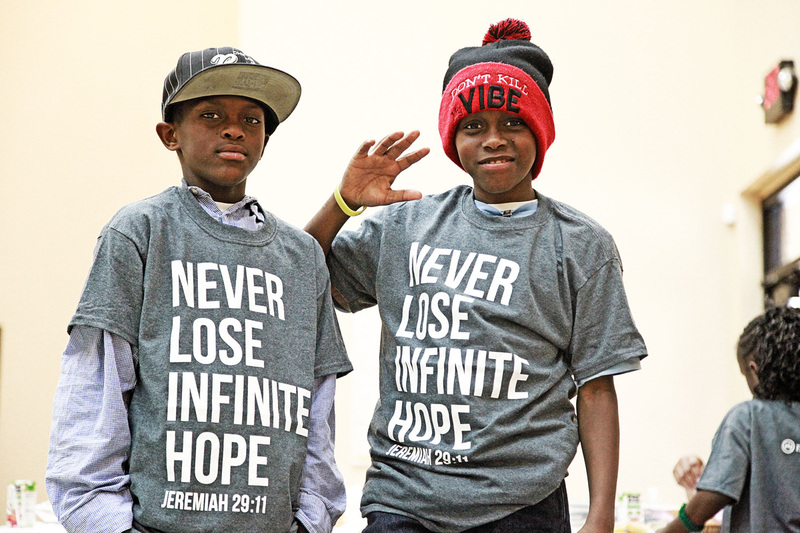 They were encouraged to wear the shirt each week to their program – it doesn’t seem like they will have a problem with that! 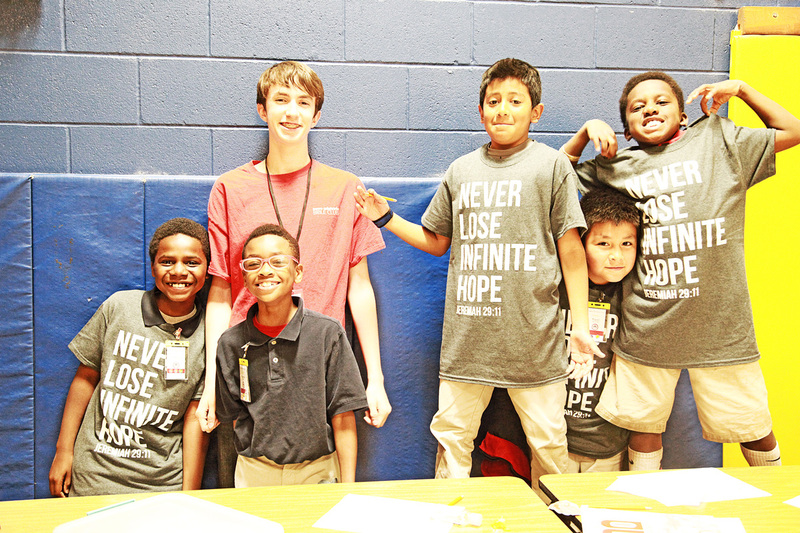 Several of the boys on the Yellow Team at Tulakes Elementary School were already making plans for all of the place they could wear their shirts in addition to Novo Bible Club – school on days they don’t have to wear their uniform, friends’ houses, the mall, the movies, and even to Gatti Town! The children weren’t the only ones excited about the shirts. Parents and guardians were beaming when they saw their children sporting the new look. One mom was so touched that she had tears in her eyes as she expressed her gratitude. 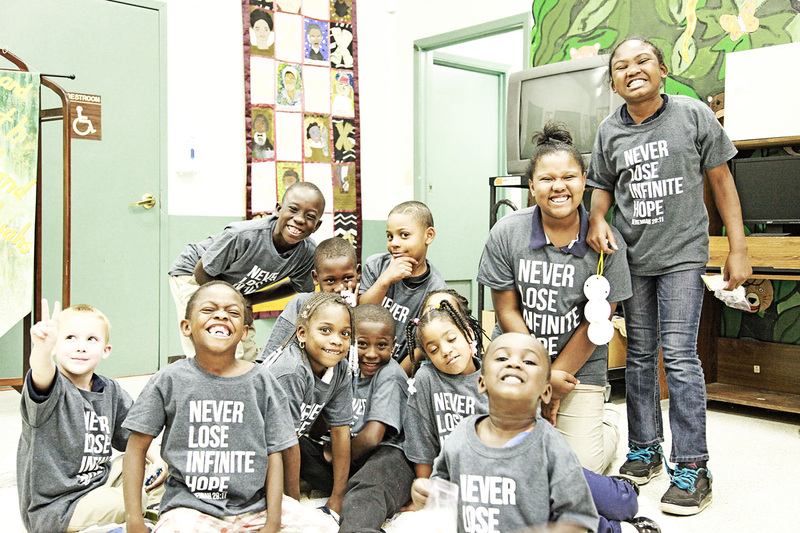 In today’s culture where these boys and girls are searching for somewhere to belong and feel like part of a group, receiving a Novo shirt helped them to feel like they belong. 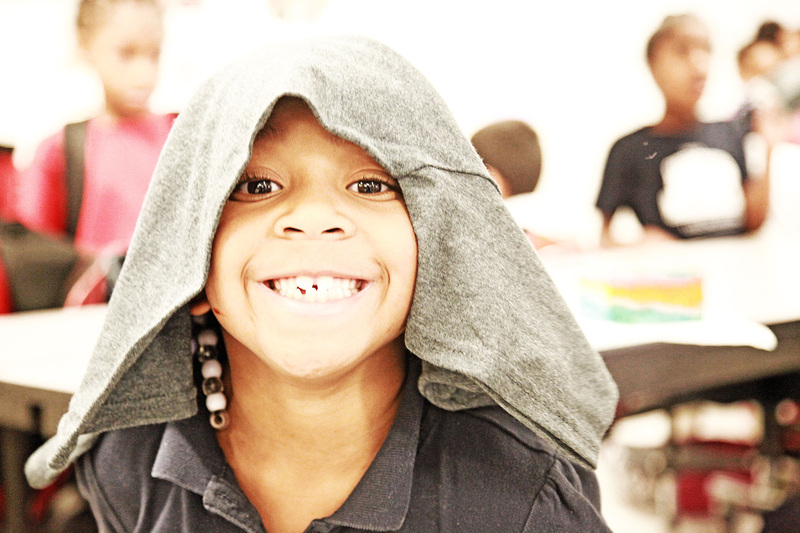 We’re grateful for the generosity and support that allows these boys and girls to know they matter, that they are loved, and that they belong! Want to get involved and change a life for eternity?